Hey! Look! More new books and ARCs! Speak to me of the titles here you covet, in the comment thread below. Masks & Shadows looks fantastic. I’m such a sucker for escapist fantasy with a Lords And Ladies Get Snooty twist, man. The Chimes looks good too. They all look good. I have a book problem. And envy. Jealous of the Madeleine Ashby book (loved Vn) and the Nebula Awards Showcase. Ooooh, Disappearance at Devil’s Rock! Company Town has been sounding interesting to me. The Nebula Awards Showcase looks like a good anthology to have! Steven Erickson’s Malazan series is the best! I have them all. But I need all the rest, especially China Millville and Scott Sigler. I’m putting them on my list. 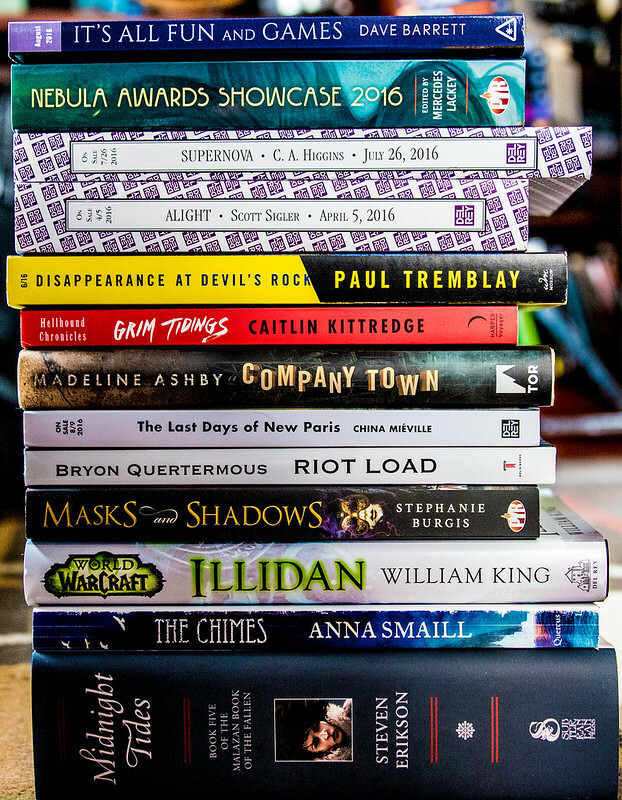 Nebula Awards Showcase 2016. The Tremblay and the Mieville. Midnight Tides. Steven Erikson is such an incredible writer. Wow, Company Town is finally out. Yea! Midnight Tides in hardcover! As if a brick sized paperback wasn’t large enough! This is the sort of series that makes me love ebooks. I was gung ho on “the Crimes”, then realized it is “the Chimes”…still I would have a go at that. Masks and Shadows! Can’t wait to read that one. China Mieville is been recommended to me by various friends. Which is the best book to start with? Company Town seems pretty interesting. Supernova! 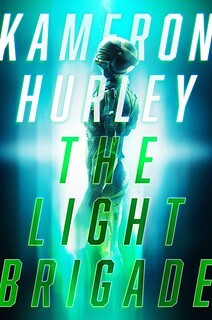 The end of “Lightless” left me with chills; I desperately want to know what happens next! As for the others, the Nebula showcase because I’m so out of touch with what’s being written right now. I also confused Paul Tremblay with the author of a Canadian memoir called “Twelve Disappearing Acts” (or something like that). Perdido Street Station. As constructed world’s go, this one is a masterpiece of weirdness that holds together quite nicely. 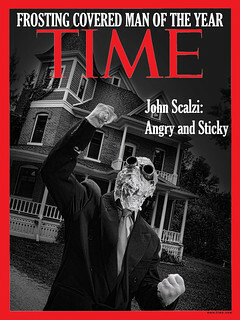 Then Mieville releases Slake Moths into the mix . . .
I’ve heard of none of these. Tell us what’s good!! Subterranean Press edition of Midnight Tides? Nice!